Thank you so much for everything you did for mother and for us during her time with you. We appreciate your kindness and care so much. And thank you for making us as family members feel comfortable and welcome. We understand that healthy and flavorful meals can be as important to your recovery as your physical therapy and skilled nursing care. Good nutrition will help speed your recovery and improve your well-being. You may choose our Chef’s Special or one of the other nutritious options prepared daily. You’ll enjoy prompt table service with indoor and outdoor seating available. You can even host your family for Sunday Dinner in our Private Family Dining Room. A wide range of social and recreational activities are offered each month. Participation in Recreational Therapy groups, in conjunction with your individual physical, occupational and speech therapy, may speed your recovery. 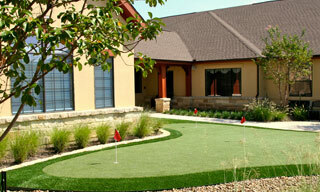 The activities we offer are tailored to our residents’ interests and will vary from month to month. Please click here to see a copy of our current activity calendar. In addition to our on-site activities and events, we often take excursions to locations of interest in the Plano, Carrollton, Frisco and North Dallas areas. Our full service Salon is open throughout the week to help you look and feel your best. 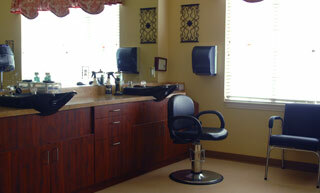 Services include haircut & style, wash & set, manicures and pedicures.